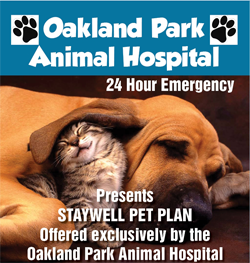 Here at Oakland Park Animal Hospital, our vet, Dr. Spencer L. Ratnoff, has more than two decades of experience caring for the needs of exotic and pocket pets. Vet visits with an exotic or pocket pet can be a little different than visits with a cat or dog; be prepared to spend a lot of time talking with Dr. Ratnoff about your pet's history, health, habitat, and diet. Small mammals like ferrets will need vaccinations just like dogs or cats. Ferrets need to be vaccinated to protect against rabies and canine distemper. Our vet may be able to help you with any behavioral problems your ferret is having. We will need to discuss your pet's medical history and origins. Our vet will recommend that many small animals, like ferrets and rabbits, be spayed or neutered if they have yet to undergo the procedure. If you have a guinea pig, your pet may attempt to "fake out" the vet by refusing to act sick at the start of the exam. This is a holdover from the animal's survival instincts. After 15 to 20 minutes, symptoms should reappear, but X-rays and blood work may be necessary to identify illness. Rabbits, too, can be good at hiding symptoms of illness, so diagnostic procedures may be necessary for these pets. 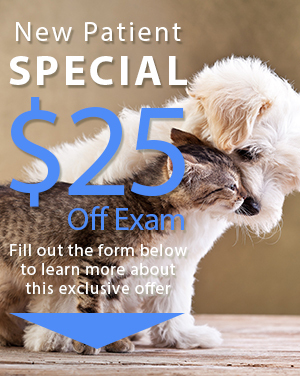 Our veterinarian will make careful observations before diagnosing your pet. Dr. Ratnoff will perform a physical exam, which will include examining the animal's skin or fur, nails, eyes, rear end, nose, and, particularly in the case of rabbits and hamsters, teeth. He may spend a long time talking to you about your pet's habits and history. That is because many problems in exotics occur due to problems with diet or habitat, of which well-meaning owners are unaware. If your pet has any distressing health symptoms, seek care right away.